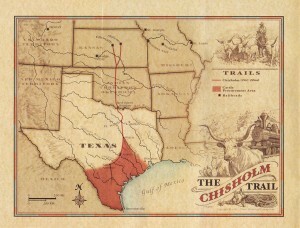 Posted in Defensive Driving Blog | Comments Off on Celebrating the Chisolm Trail, Texas style. 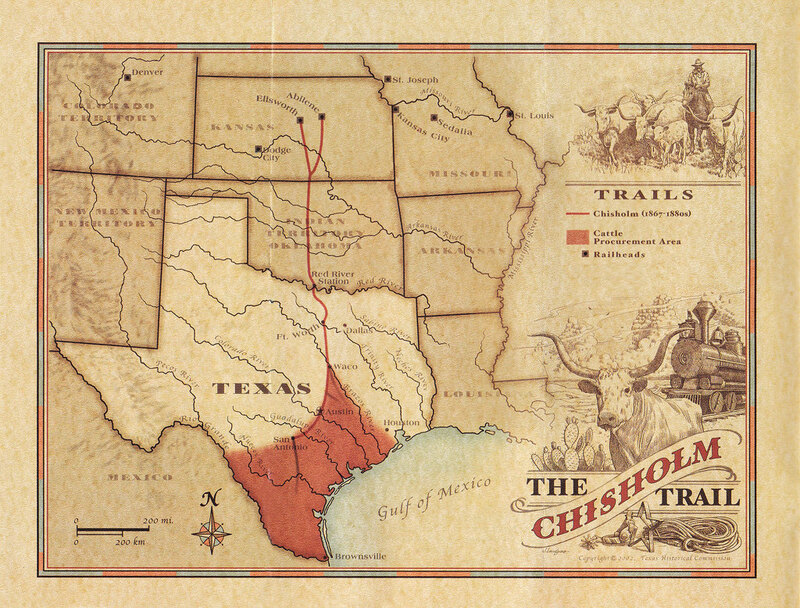 Little known fact – this year marks, more or less, the 150th anniversary of the Chisolm Trail. And what is that you ask? 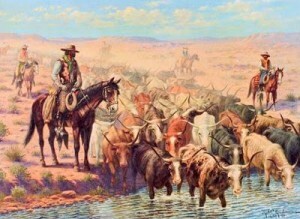 In simple terms it was the route taken by Cowboys herding Longhorns north to Kansas. But the complexities are mind blowing. Following the Civil War, Texans were in dire straits where work was concerned. Returning Confederate soldiers and a busted economy made jobs scarce. The one thing we had a lot of was Longhorns, outnumbering people 6:1. Prices here were modest but back East you could get 10 times the price. Figuring out how to transport them was the issue. It turned out to be so difficult, what with stampedes, river crossings, Indian tribes and such that (long story short) the trail was established only to Abilene, Kansas, where a train depot promised transport farther east. King Ranch in Kingsville. Established by Richard King in 1853. A visit here includes a museum, Longhorn watching and tour of the ranch. Cuero’s Chisolm Trail Heritage Museum. Open since 2013, this is the best way to experience the realities of the trail, with a chuck wagon replica and interactive cowboy exhibits. Waco Cow Toll Bridge. In 1870, Waco opened the suspension bridge that made easier work of traveling the Brazos River, for a price. Now walking the bridge is one of the city’s favorite activities, along with viewing the Longhorn sculptures in the adjacent park. Fort Worth Stockyards. One of the best places to truly learn about the Chisolm Trail, with Longhorns on parade twice a day and a “cow camp” on weekends. The stockyards are known for their accuracy, down to all the attire. Fort Griffin Longhorns. A special breed and a sight to see. Assembled in 1941 as the state’s “official herd”, these majestic creatures differ in their horns and color variations. Whatever your reason for taking on the Chisolm Trail, you will not go away unimpressed. 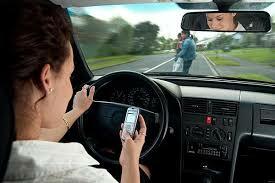 And on your travels remember to drive safely. 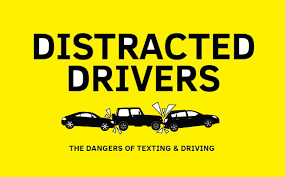 Should you need any Defensive Driving pointers make sure to log into Wirelessdefensivedriving.com.